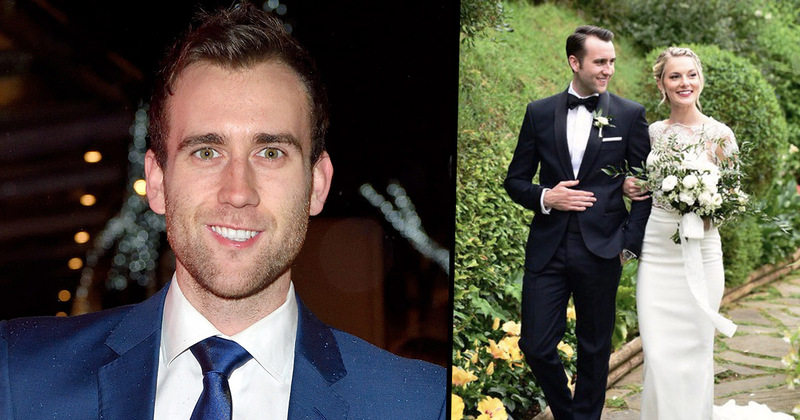 Matthew Lewis, who is known to most for playing the hapless, loveable, introvert, Neville Longbottom, in the Harry Potter films, has only gone and got married. Lewis, who is 28 years old and from Leeds in the Kingdom of Yorkshire, made the revelation earlier today that he’d wedded his girlfriend, Angela Jones. Lewis, who is set to star in upcoming film, Terminal, posted a photo of the happy couple on their special day onto Instagram earlier today (May 28). It doesn’t take a genius to imagine that the post was immediately inundated with love and praise. Amazingly, Matthew met Angela at her place of work and it couldn’t have been anymore fitting: The Wizarding World event at Universal Studios in Orlando. Lewis and Angela immediately hit it off after meeting in January 2016 and officially got together in July. Just months after Angela got divorced from her first husband, Lewis asked her if she would become his wife. They’re both over the moon. They got together in July and hit it off straight away. However the Harry Potter star, who acted in the franchise from 2001 up until 2011, kept the bulk of his love life out of the spotlight and away from the paparazzi. That being said, Lewis has previously spoke out about his past crush on the set of Harry Potter – and unbelievably it was on Emma Watson. 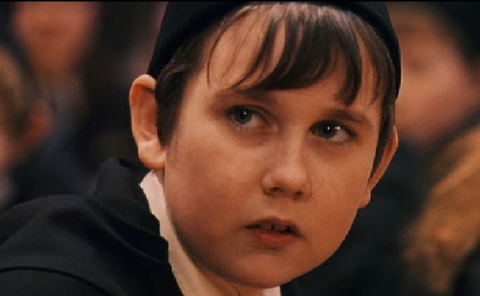 Lewis was besotted by Watson as a young teenager and described how the Harry Potter cast would send each other ‘love letters’ during filming. I probably had a crush on Emma for a couple of years, until I was 13 or 14 — something like that. I mean nothing ever came of it, anyway. It never went anywhere. Effectively for us, it was like being in school. We started tutoring on set and we were on set all the time, so I think that everyone had crushes on everyone else at some point. There was always Valentine’s Day — everyone would write secret Valentine’s cards to different people. I think on the second [film] there was like love notes and love letters flying around. She knows about that. It’s not something we’ve not talked about or anything. It was an exciting time and quite strange [having done] them for 10 years but I was very ready to finish when we came to the last one. I wasn’t keen to jump back into a robe and be a wizard in something anytime soon but [I was interested in] anything that came up, really. I felt very much that I was starting at the bottom rung again and that being in Harry Potter was no gimmick; I was going to have to leave that behind to lose the Neville Longbottom tag and prove I could do other things, learn, and understand. We wish the couple a lengthy and happy marriage! Congratulations! Joseph Loftus is a Gold Standard NCTJ journalist with four years experience working for international and regional press.As well as working for UNILAD and LADbible, Joseph has worked as Liverpool Correspondent for Unsigned & Independent Magazine, as well as stints with the Liverpool Echo and Warrington Guardian.